Every year IFC puts out a “facebook” for all incoming freshmen. We usually use one of the standard blah designs from the publishing company, however this year I got to take a crack at the design. 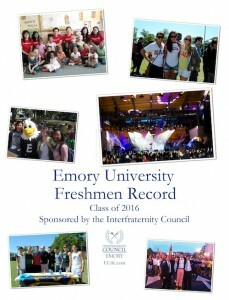 I didn’t want to use an overwhelming amount of photos, just a few really good ones that explain why Emory is awesome.